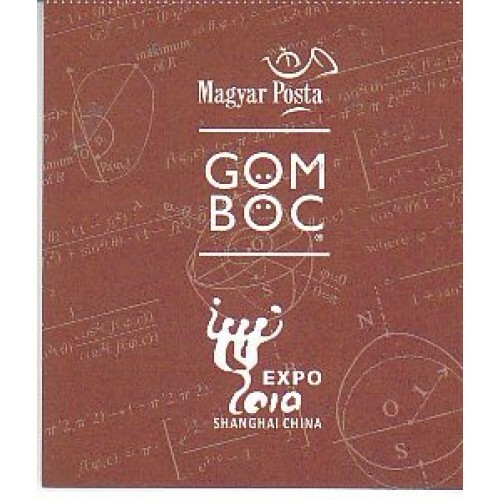 Magyar Posta is issuing a sheet of postage stamps and a book of special stamps to mark the Shanghai World Expo. 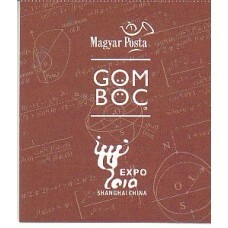 Over 200 nations and international organisations are taking part at the Shanghai World Expo, being held between 1 May and 31 October 2010, in either rented pavilions or ones they have built themselves. The slogan for the Expo is “Better City, Better Life”, which Shanghai is endeavouring to make reality as its own basic principle. The aim is to create a 21st-century, envi-ronment friendly, urban living space in the spirit of sustainable development. The “main character” in the Hungarian pavilion is the Gömböc, the first known homogeneous, convex object to have just one stable and one unsta-ble point of equilibrium. It can be proved that no body can exist with fewer positions of equilibrium. No matter how it is put down, it always returns to the stable point of balance. It behaves like a wobbly man toy, always righting itself. This, however, is not due to a weight but to its shape as it is made of a single, homogenous material. 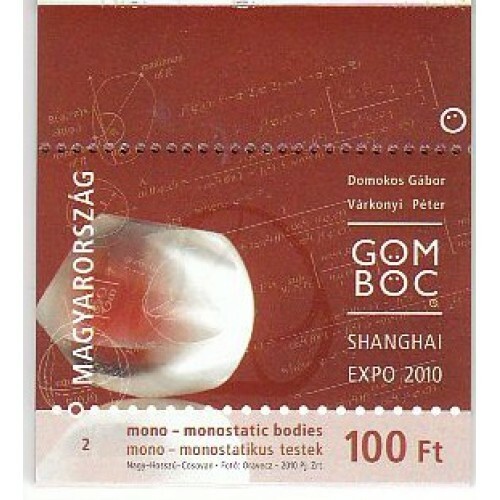 The Gömböc is shown on the stamps. This unique invention is being released in special sheets containing 30 ordinary postage stamps. The designs of the stamps illustrate the most characteristic phases of the movement of the Gömböc. The stamps are also being released as a special issue in the form of an unusual book of stamps. By flicking the pages of the book, the designs showing the movement phases of the Gömböc are brought to life and its movement appears like a film. On the first day cover the Gömböc and the equations describing its construction and operation can be seen. The special postmark uses the logo of the Gömböc.